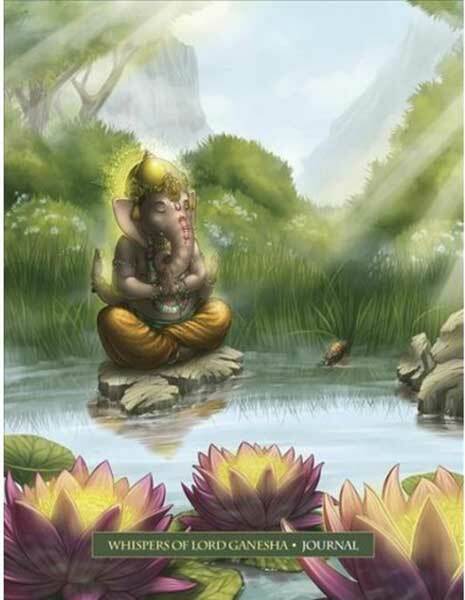 Lord Ganesha is the elephant-headed deity of the Hindu pantheon, called upon for assistance with the beginning of new projects and helping to remove obstacles that might show up in your path. 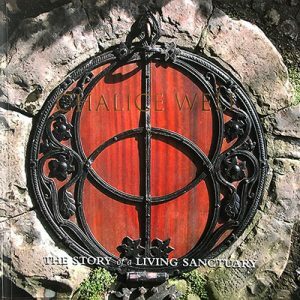 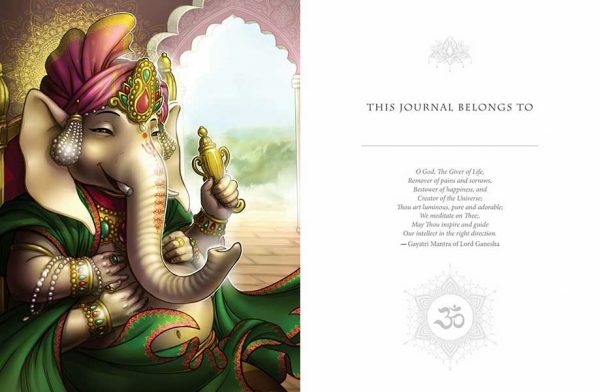 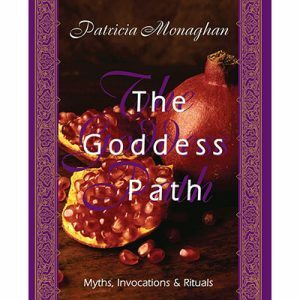 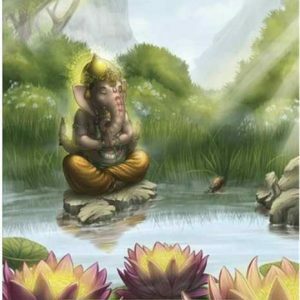 This deluxe illustrated journal features Ganesha-inspired musings from bestselling author and spiritual teacher, Angela Hartfield, as well as quotes from renowned Hindu scriptures to help you to express your inner-most thoughts, count your multitude of blessings and work on clearing any creative or emotional blocks that hold you back from fulfilling your true potential. 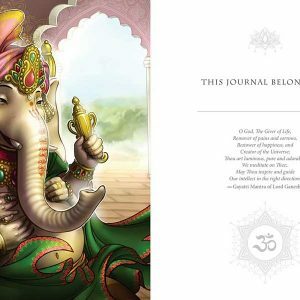 Ekaterina Golovanova’s vibrant Ganesha artworks are interspersed throughout, offering a powerful way to connect with this spiritual guide’s jovial and uplifting energy. 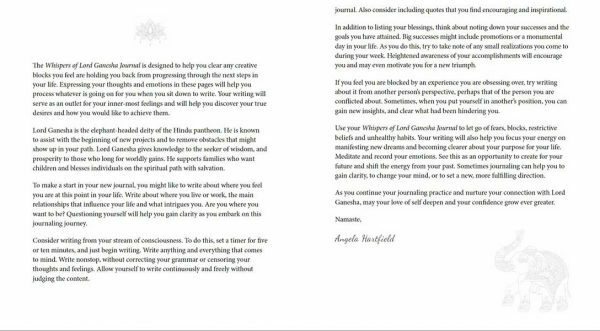 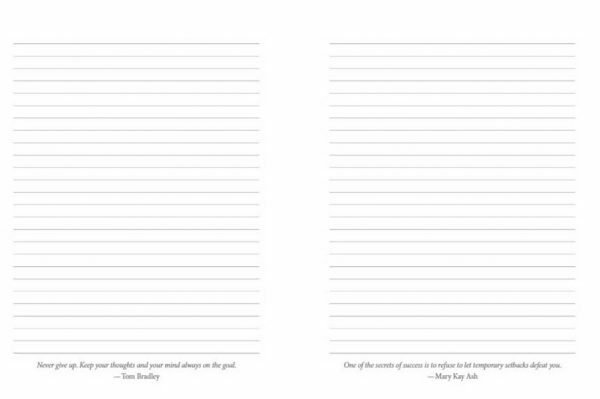 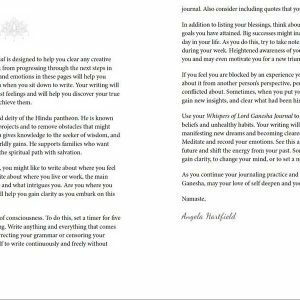 As you explore your journaling practice and nurture your connection with Lord Ganesha, may your love of self deepen and your confidence grow ever greater. 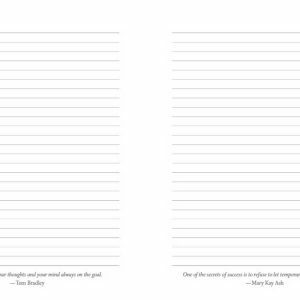 Features cream-coloured premium quality wood-free paper, with a combination of lined and unlined pages so you can write, doodle, paint or draw.